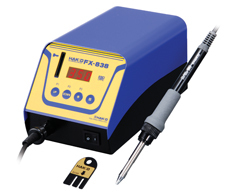 Great thermal recovery improves the soldering environment. They reduce the risk of the damage of heat-sensitive chips and workpieces. They diminish the oxidation of soldering tips.